We may earn money from the companies mentioned in this post - ads, compensation from sponsored posts & affiliate links allow us to keep the blog fresh and informative at no added cost to you. 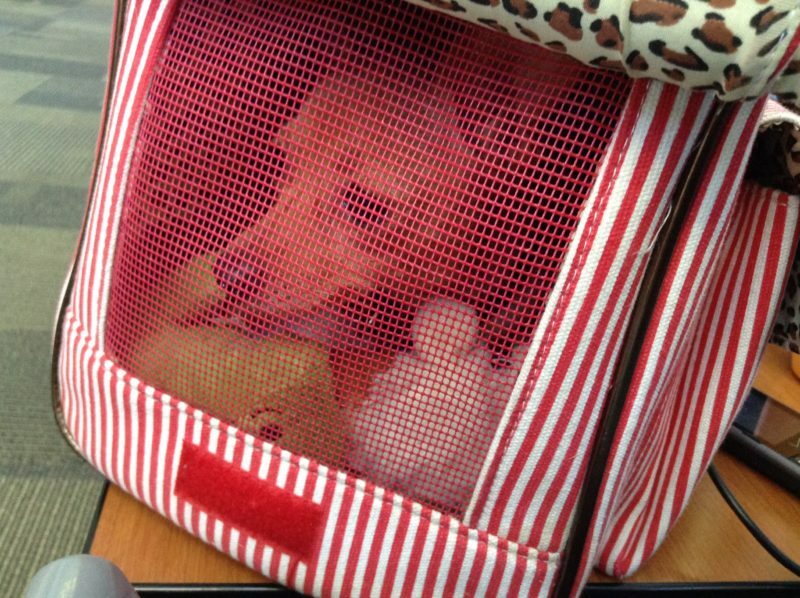 Having a small dog makes traveling by plane simple. 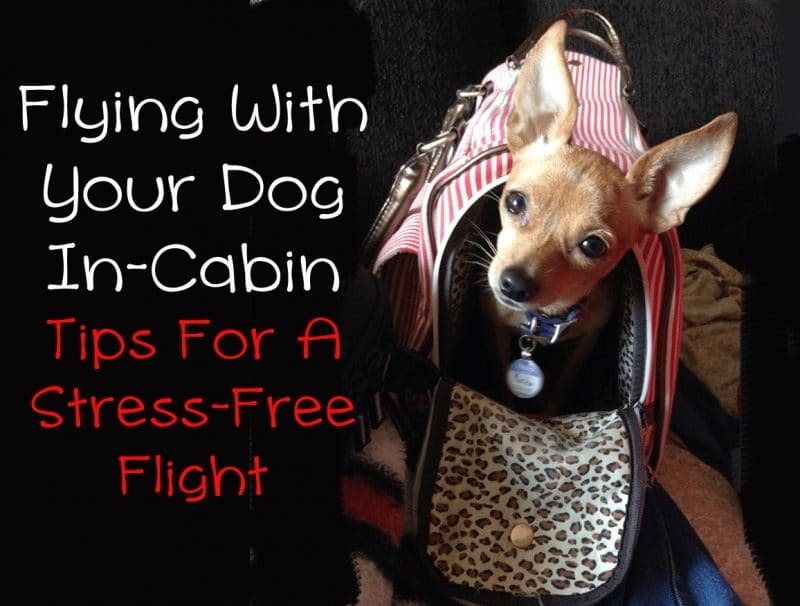 Unlike a large dog, who has to fly in the cargo area for the duration of the flight, you can stow your small dog in-cabin under the seat in front of you. I was pretty nervous the first time I flew with Matilda from California to New Jersey. I had so many questions, and concerns about her comfort, safety and whether she would be able to behave herself without disturbing other passengers. Our trip went smoothly, thanks to the research I had conducted beforehand, my careful planning when choosing a ticket and seating arrangement, and Matilda’s cooperation. After booking your ticket, you’ll need to make a pet reservation. Some airlines limit the number of pets allowed on each flight, so you will need to let them know in advance that you are bringing your furry friend. Call your airline’s customer service line and ask to make a pet reservation. You will probably need your credit card handy. United Airlines charges $125 each way to bring your dog in-cabin. The person on the phone will probably give you a pet reservation number. Write this down, and place it in the pocket of your carrier or in your wallet. Do You Need Vet Records? When I was on the phone with an airline customer service agent to make my pet reservation, I asked if my dog needed vaccination records or any other documents from my vet. She said I did not. Nobody asked for vet records throughout my domestic trip. If you’re travelling outside of the United States, you should make sure you have proof that your pet is up to date on vaccinations and healthy enough to travel. Keep your dog’s food and drink to a minimum on the day of the flight. Some dogs can skip breakfast, though many small dogs suffer from low blood sugar if they miss a meal. You should avoid giving your dog large amounts of water so she will not have to pee. However, dehydration can occur in just hours, especially in hot weather. I offered Matilda a bottle-cap full of water every few hours, and occasionally dipped my fingers in water and allowed her to lap off the few drops to stay hydrated. I also packed a small bag of kibble in the pocket of her carrier and offered her a few bites every few hours. During layover, I gave her the rare treat of a half chicken nugget with no breading. Rich treats can cause poorly-timed diarrhea or vomiting, so use your best judgement. What Kind Of Carrier Should You Take? Get the best pet carrier you can afford. You will be carrying it around for hours, and your dog will need enough room and padding to feel comfortable for the duration of the trip. I prefer a carrier with pockets to hold the dog’s accessories and a small bag of food. Look for an airline approved carrier with either hard or soft sides. A hard-sided carrier won’t collapse on your pet and protects them if you bump into other people in a busy airport. However, a soft-sided carrier is lightweight and can be slightly squished down to fit under the seat. Most airline approved carriers are designed to be acceptable by most airlines, but you should double-check your airline’s website to ensure your carrier’s dimensions are acceptable. 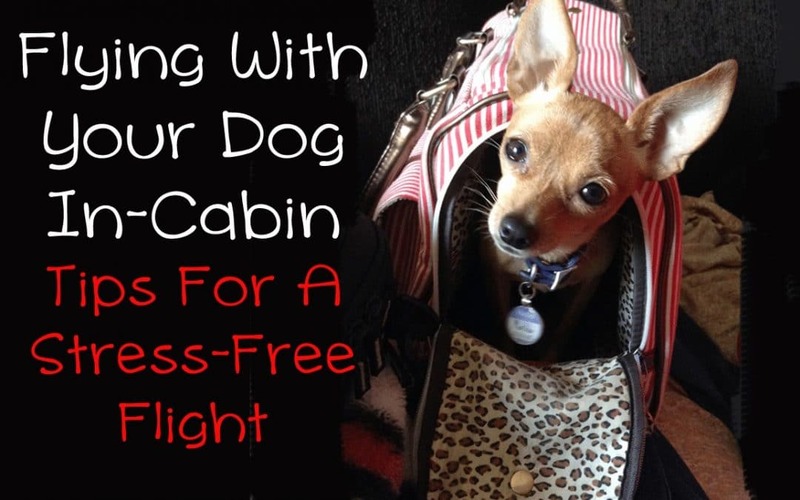 You can have two carry-ons in-cabin, one will be your dog carrier, the other can be a purse, laptop bag or backpack that fits under the seat, though you can place it in the overhead bin during the flight. Purchase your carrier as soon as you can. Leave it out until your trip, giving your dog the freedom to walk in and out of it as they please. Hide food, toys and treats inside and line it with blankets or clothes that smell like you or a family member your dog loves. Arrive at the airport at least 2 hours before your flight takes off. You may need to take your dog for one final potty break in a grassy area outside the airport before entering the building. Then, you’ll go to the check-in counter, where your luggage is weighed. Tell the person at the front desk that you have a pet. They will then take your carrier and weigh it to ensure it is less than 20 pounds total with your pet inside, and make sure it’s large enough for your pet to sit, stand and turn around. Some airlines will have different guidelines and weight limits, but this seems to be the standard. You may have to present your reservation number, or the employee may be able to find your reservation through your name or credit card number. Getting through security with a dog doesn’t take much longer than it normally does. After you put your laptop, jacket, shoes and other belongings in bins, take your dog out of her carrier and place the carrier in a bin to go through the x-ray machine. Then, you’ll carry your dog in your arms, and a TSA agent will lead you to an area just beside the full-body scanner. You won’t have to go through the scanner with your dog. Instead, a TSA agent with swab your hands to check for traces of explosives. This ordeal might take an extra few minutes, but shouldn’t be an issue unless you or your dog is a terrorist. Then, you’ll go to the other end of the x-ray machine and retrieve your belongings as usual. Several times, I have forgotten that my reusable water bottle was still full, so TSA agents have made me dump out my water and go back in line. It’s good to carry a water bottle to keep you and your dog hydrated, but it will need to be empty when you go through security. Once you’re past security you can refill it at a water fountain next to a bathroom. The stressful part is over. Now, all you have to do is find your gate and sit down. Be sure to have your ticket ready so you will not have to fumble with your carrier as you board the plane. Once I got to my seat, I shoved my backpack into the overhead bin and placed Matilda’s carrier under the seat in front of me. I had a window seat, and I was sitting next to an older lady who seemed friendly. I told her I had a dog, asked if she minded. She said it was okay! Matilda scratched at the side of her carrier and cried at first. I opened the top flap of her carrier to reveal a mesh screen. She calmed down once she could see me. At times, I placed the carrier in my lap so she could look out the window. My second flight was a “red eye,” so the plane was dark and most people were sleeping. Matilda kept scratching and whining, so I snuck her into my lap and wrapped her in my flight blanket. We both felt much better. When I checked in, I was specifically told that Matilda would need to remain under my seat for the whole flight. I broke that rule, but first, I asked my seatmates if they were okay with it. The girl next to me even held her for a little while. Following rules is always a good idea. There are very unfortunate people with deadly allergies to animal dander. Wash and groom your dog before flying and carefully consider the people around you before bending rules. Can Dogs Walk Through Airports? On my layover, I couldn’t help but notice a woman with her cute Cocker Spaniel on a leash. The dog was calm, but didn’t seem specially trained. I also noticed other dogs, none with special vests or perfect training, walking around in the airport. I approached her and politely asked if she had a service dog, being careful to clarify that I was asking because I also had a dog, not because it was any of my business. She told me she had a doctor’s note, but nobody had asked to see it, and told me that I could probably get away with letting my own dog out, too. Now, I’m not saying that you should take your dog out of her carrier in an airport. But I did. This was on a layover, after we had already been on a plane for a few hours. She needed to stretch her legs, so I put her on her leash and walked her to my next gate. I paid close attention to her, making sure that she walked by my side and did not pee on the floor. I don’t think most airports allow pet dogs to walk around on leashes, but this rule doesn’t seem to be enforced all the time. I’d do it again with the bold assumption that, at worst, someone will yell at me, and I’m willing to risk that to make my dog more comfortable. 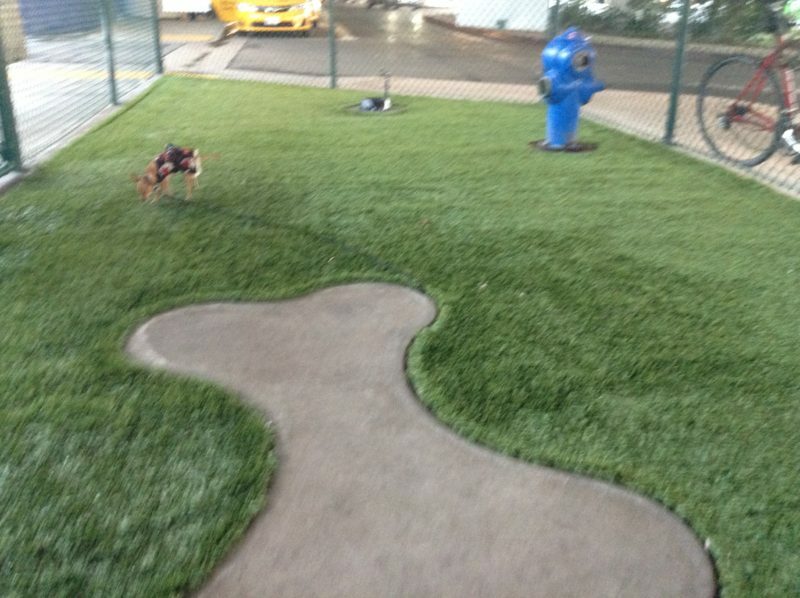 Fortunately, LAX has a dog relief area. Unfortunately, it’s outside security, so you have to get past the TSA all over again. My flight from California to New Jersey is never direct. When I book my ticket, I can choose between flights with different layovers. I was able to choose from just one layover or two, and between 45-minute layovers and 3-4 hour layovers. I chose two layovers, which made our trip longer and more taxing. I recommend getting as few layovers as possible. Choosing flights with short layovers means you may not have time to take your dog for a potty trip between flights. But your overall trip will be shorter. A long layover means you have time for a potty trip, even if the dog relief is outside of security. As of August 2016, most airports now have dog relief areas past security, but I have not yet experienced this convenience. Check out this list of pet friendly airports to find out if your destinations have dog relief areas. Your dog might also be willing to relieve herself on a potty pad. I set one down in the restroom for Matilda, but she didn’t use it. I luckily had a long layover, because I had to first find the dog relief area, discover it was past security, have the potty trip, then get in line for security again. My layover was during busy hours, so it took over an hour to get through security. My flight was delayed for an additional 4 hours, so I actually had time to eat and have another doggy potty trip, then me and Matilda walked laps, rested, and bonded until our final flight. Phew! That was exhausting, but we enjoyed the mini-vacation. After a successful trip, in which I had done most of the rule-breaking and misbehaving, I couldn’t help but thank Matilda over and over. I’m sure she would have survived just fine if I hadn’t let her out of her carrier, but her excellent behavior meant we didn’t disturb other passengers. Walking with her and having her in my lap gave me calmness and peace of mind, and she did not abuse the privilege. I don’t think dogs understand the concept of “thanks,” but it felt good to share my sincere appreciation with her. The airplane will be too hot or too cold. Takeoff and landing will be extremely loud and scary. The airport will be strange, loud and tiring. Even if your dog isn’t perfectly behaved, thank her for doing her best to stay calm during the trip. She may not understand it… but she’ll hear it. Does Your Chihuahua Have A Soft Spot or Skull Molera? Lindsay Pevny lives to help pet parents make the very best choices for their pets by providing actionable, science-based training and care tips and insightful pet product reviews. She also uses her pet copywriting business to make sure the best pet products and services get found online through catchy copy and fun, informative blog posts. She also provides product description writing services for ecommerce companies. As a dog mom to Matilda and Cow, she spends most of her days taking long walks and practicing new tricks, and most nights trying to make the best of a very modest portion of her bed. You'll also find her baking bread and making homemade pizza, laughing, painting and shopping. Lan Hoang recently posted…Can my dog go vegan? Are you an extraordinary pet business owner? I’m a dog blogger and pet copywriter for outstanding pet industry businesses and product description writer. 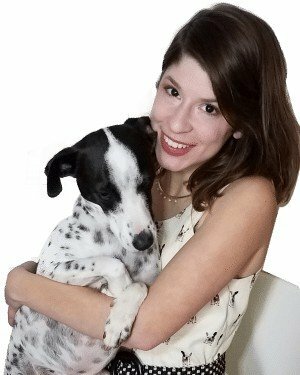 My mission is to educate pet owners to help them become the best advocates for their pets’ health and happiness. Contact me to find out how I can help you reach pet owners on the web! I, Lindsay Pevny, am not a veterinary professional, behaviorist or trainer, nor are any guest authors unless otherwise stated. 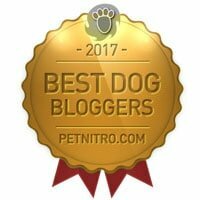 My blog posts are based on my experiences with Matilda and Cow, my research, anecdotes from friends and other dog owners on the web, and, as cited, opinions from experts that I’ve interviewed or quoted. If you have any concerns about your dog’s health or behavior, contact a vet or a trainer.